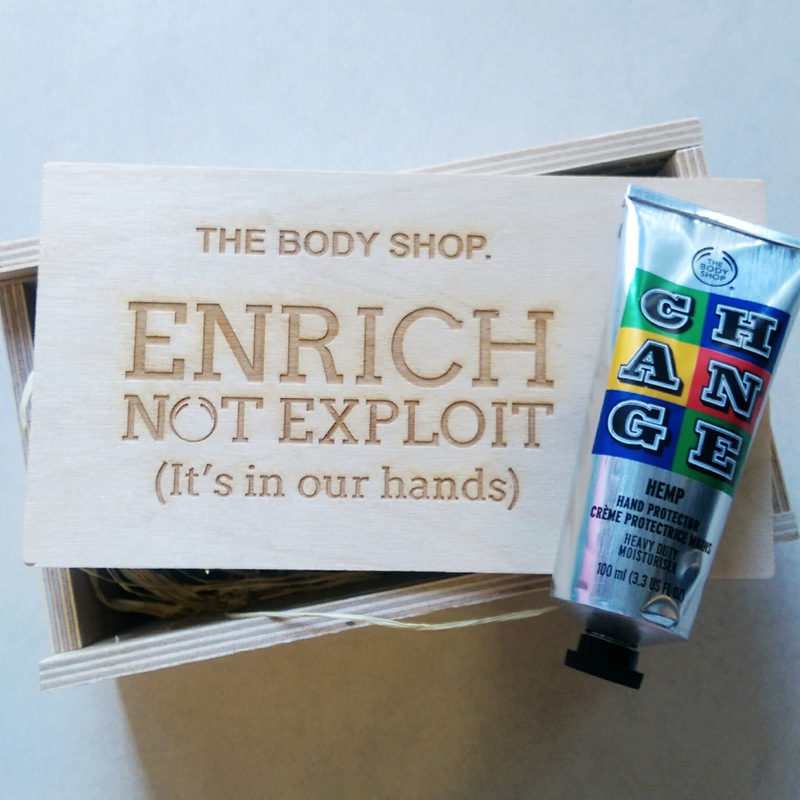 The Body Shop has just launched a global campaign called Enrich Not Exploit that sees them donating R150K to a various environment, society and animal charities across the planet. The limited edition packaging was designed by famous London street artit Ben Eine. If you buy a limited edition 100ml Hemp Hand Protector (R130) before 31 May R30 will go towards one of three charities after you vote for your favourite. While each charity will receive R50K, the charity with the most votes will receive all additional funds raised. So, what are the causes you can pick from? Despite the fact that The Body Shop’s Hemp Hand Protector (‘for hardworking hands’) is one of the store’s best-selling products across the globe I hadn’t actually tried it before (oh the shame!) but now it’s a new fave, if not a god send. I’m currently trapped in the nightmarish process of moving house, something that’s being dragged out hideously due to a myriad of crappy reasons that are out of my control, and has involved several bouts of ‘on hands and knees’ cleaning (of both my old and new flat) plus litres and litres of bleach that only another OCD-riddled chica would understand. Add a little constant hand washing to the mix and you’ve got a recipe for work-weathered hands that really should’ve been protected by gloves but that didn’t happen ‘cos their owner is A Very Silly Girl. On the upside, you’ve got the perfect pair of mitts to appreciate the mega-moisturising properties of Hemp Hand Protector. Made from the cold-pressed of 950 essential fatty acid-rich hemp seeds, it work’s with your skin’s own lipids to serve up a serious dose of hydration. Also, due to its buttery, balmy texture, it kind of leaves my hands feeling like you’ve applied a ‘moisture glove’ to them, but it absorbs fast so you’re not left feeling sticky or greasy. While there’s no menthol in the formula (thank God! Menthol is a major irritant, not a soother, despite what many companies would have you believe) I experience a slight ‘cooling’ sensation when I put it on. As for its scent, it’s kind of herbal-smelling and I didn’t love that at first but now I’m quite into it. It definitely grows on you in the same way that Arden’s Eight Hour cream fragrance isn’t exactly a great beauty but there’s something about it that you eventually grow to depend on, meaning that if they changed it you’d get upset. 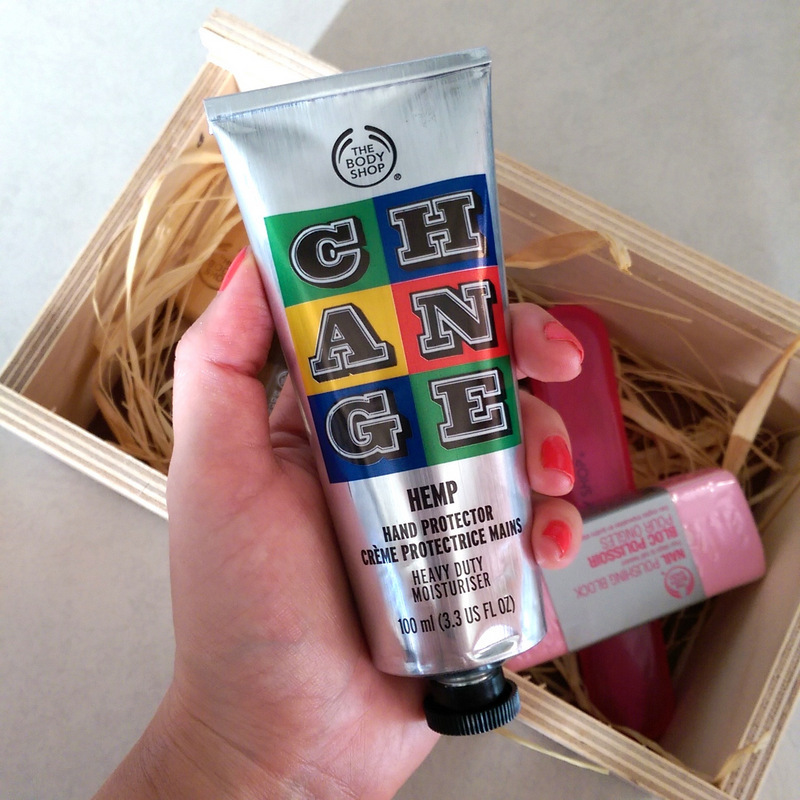 Anyway, if you’re looking to indulge your digits, The Body Shop’s new limited edition Hemp Hand Protector is a great way to do exactly that while also doing a little good. ￼￼￼￼￼￼￼￼￼￼￼￼￼￼￼￼￼￼￼￼￼￼￼￼￼￼￼￼￼￼￼￼￼￼￼￼￼￼￼￼￼￼￼￼￼￼￼￼￼￼￼￼￼￼￼￼￼￼￼￼￼￼￼￼￼￼￼￼￼￼￼￼￼￼￼￼￼￼￼￼￼￼￼*Kidding! But wouldn’t that have been nice?